in: Categories: Publications, Publications about "A Million Pictures", and Publications by team members. 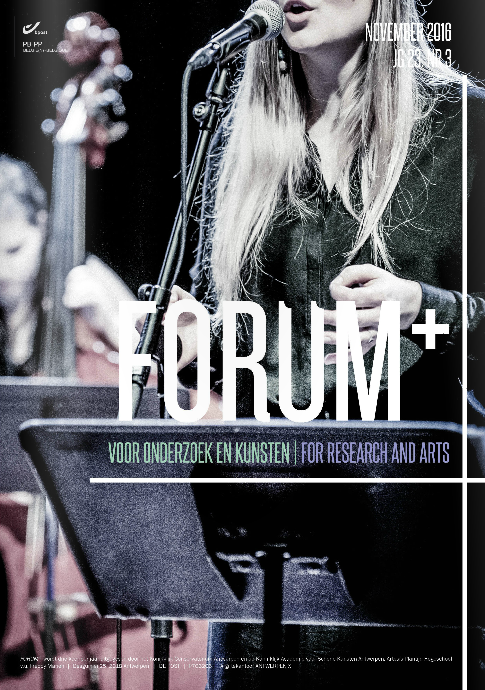 Nele Wynants published the article Binnenkijken in de Werkelijkheid – Sarah Vanagt over Schijnvis / Showfish / Poisson Brillant in the November Issue of the journal FORUM+ Voor Onderzoek en Kunsten. In her article, Nele Wynants traces the history of the projection microscope in the history of scientific magic lantern projections and introduces the work of artist Sarah Vanagt. The article ends with an interview with Sarah Vanagt about her installation Schijnvis / Showfish / Poisson Brillant that she created for the Museum of Contemporary Arts, Antwerp.